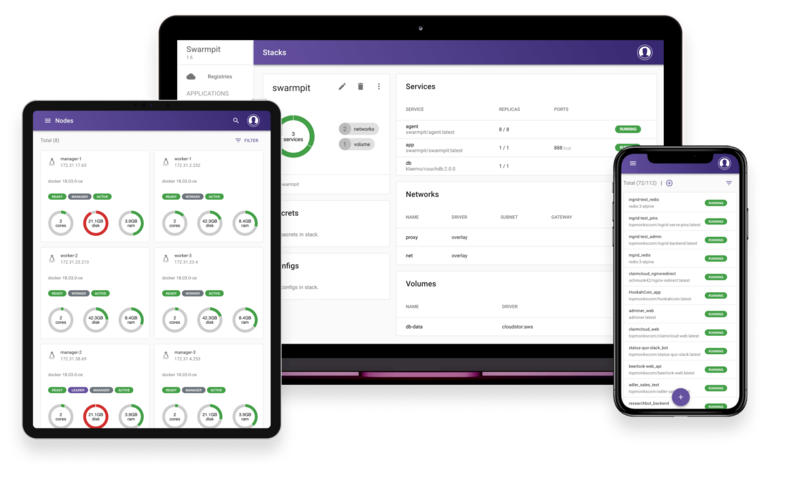 Recently, I’ve been looking for a good Docker container orchestration and host machine management tool and I’ve come across Swarmpit. It’s a wonderful tool and I recomment it to anyone who is looking for a web based interface to make it easier to launch, scale and destroy Docker Swarm stacks on host machines, without having SSH access to the machine itself (e.g. while traveling). “docker stack ls” and find the stack that represents Swarmpit. It’s usually called simply “swarmpit“. Take note of this name. Destroy the Swarmpit stack using “docker stack rm swarmpit“. Replace “swarmpit” with the name of the stack from the previous step.